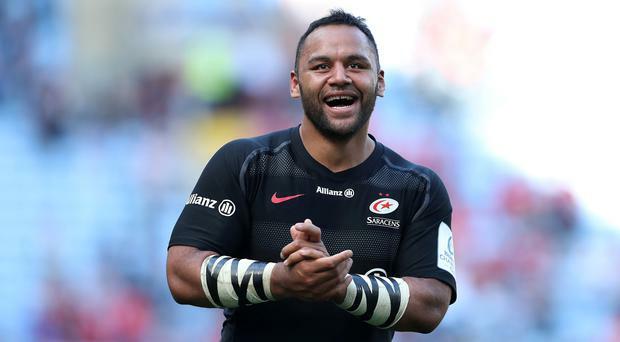 Mako Vunipola has praised his brother Billy's self-control after he was booed throughout Saracens' Heineken Champions Cup victory over Munster and then confronted by a spectator. The Ricoh Arena may have been half-empty, but it was incendiary all the same as hate came to the Heineken Champions Cup. It was all so very familiar. Johann van Graan came before the microphones as he had done in Bordeaux 12 months before and as Rassie Erasmus had done at the Aviva Stadium in 2017. The doubts about Leinster's form were washed away in the space of 10 breathtaking phases in the 13th minute of the first half. Munster have opened an investigation into the incident that saw a fan wearing their colours invade the pitch at the Ricoh Arena on Saturday. Last Monday, Stuart Lancaster called on Sean O'Brien to deliver a big performance, and the response he got was emphatic. Leinster take on Toulouse in the Champions Cup semi-final at the Aviva Stadium with the winner set to face Saracens in the decider in Newcastle. Munster look set to be without Joey Carbery for their Champions Cup semi-final against Saracens.